When we were invited to dine at Nonna and I in Norwood, we were curious to say the least. 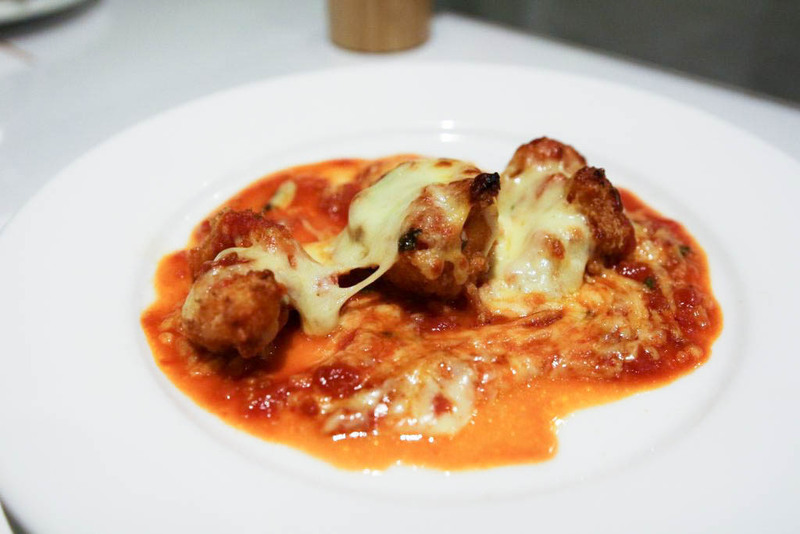 An Italian restaurant on the Parade is hardly unheard of, however Nonna and I had been popping up on our social media feeds for some time now and we’d been meaning to check it out. 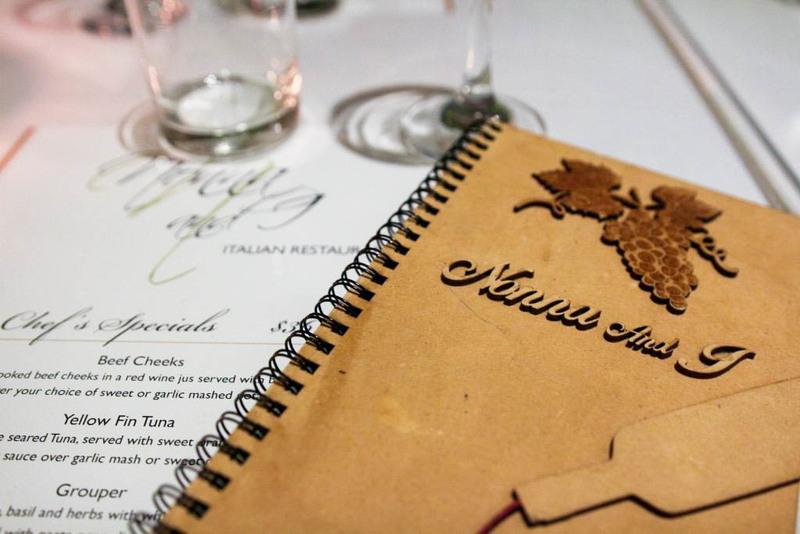 Each table has the specials menu presented under a glass top, consisting of a variety of seafood, meat and pasta dishes. The standard menu was cased in a beautiful, carved, wooden menu, and had an entire page dedicated to vegan options, much to the delight of the two diners on the table next to us. We started with fresh, house-made wholegrain bread that was served fluffy and warm, with generous amounts of butter. The soup of the day was an obvious entrée option for us, as it was pouring with rain outside and we needed a bit of warmth inside our bellies. 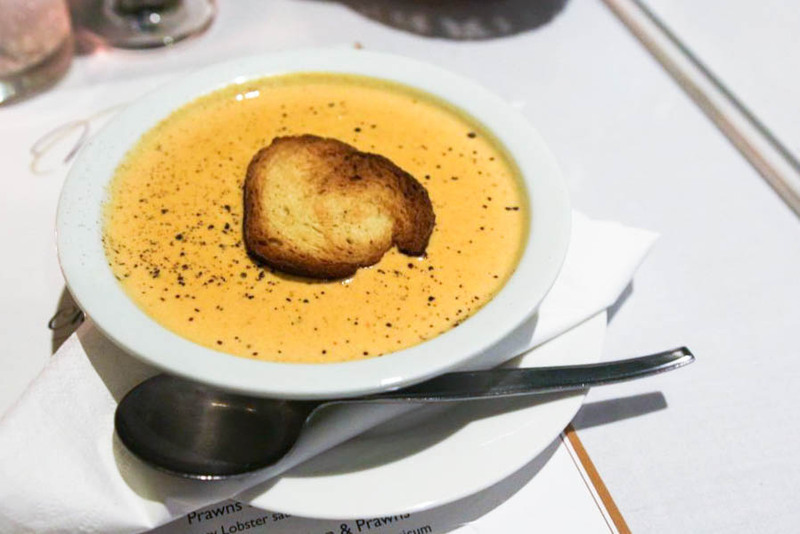 Today’s option was lobster chowder; a rich, thick soup with chunks of lobster hidden throughout the bowl. The soup had a lovely seafood flavour throughout it, and was creamy and smooth, save for the welcome, surprise bits of lobster that kept appearing on our spoons. While waiting for our mains, we were served some incredible marinated olives and a bottle of Rocca Ventossa Sangiovese Terre di Chieti, a delicious, medium-bodied red. 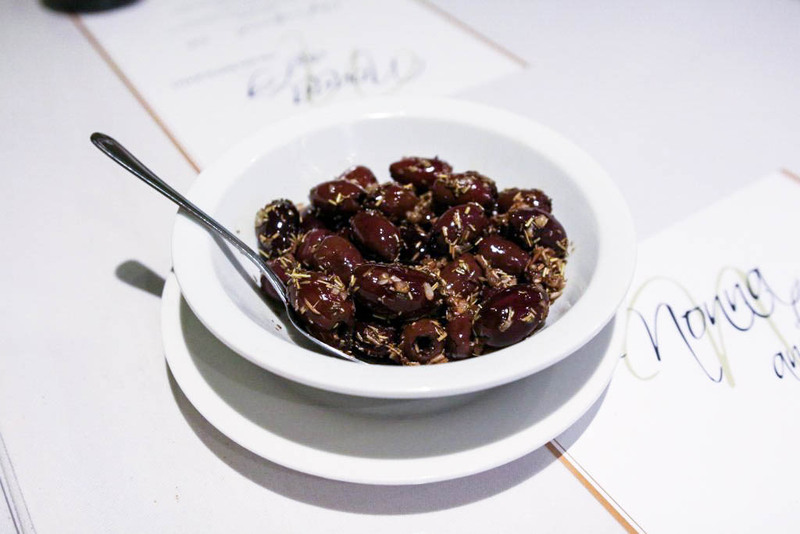 The olives certainly packed a flavour punch; marinated in balsamic, rosemary and salt (as well as some secret ingredients we’re sure), they were served pitted, warm and tied us over until the arrival of the rest of our food. The mains we chose were the perfect comforter for such a cold and dreary evening. We went with prawns parmigiano, a seafood take on the classic cheese-and-napolitana-topped dish, and veal and prawns. One of the daily specials, the veal and prawns dish was served coated in a cream and cognac sauce with capsicum and broccoli, served atop capellini pasta. 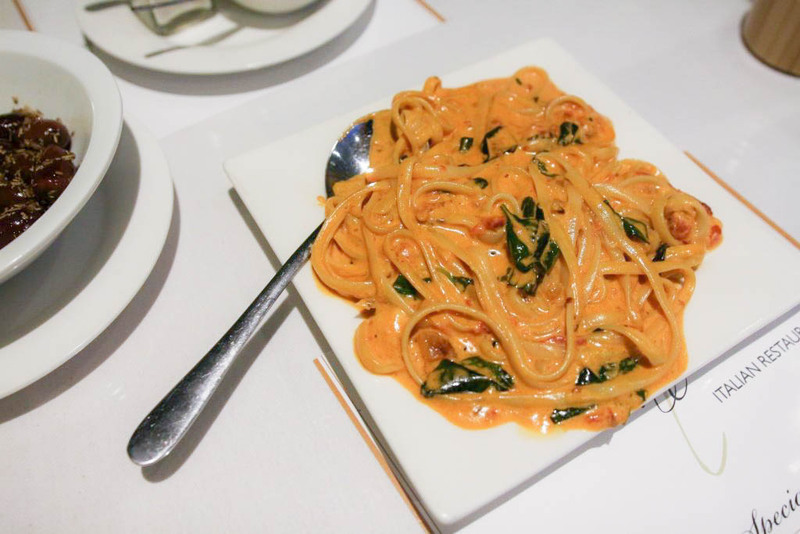 This was a standout, as the sauce was cheesy and creamy and the serving of veal and prawns to pasta was generous. The veal and prawns were both extremely tender, and the flavours of the sauce tied the whole dish together. 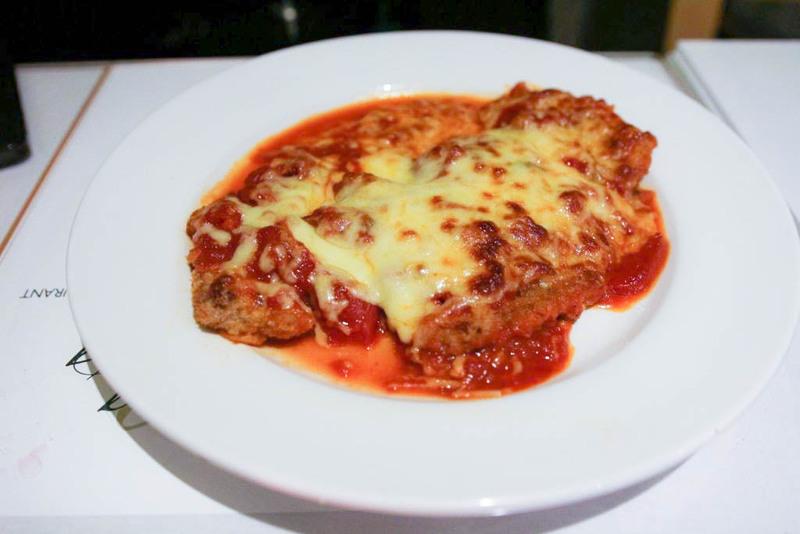 Chef Khalil sent out a surprise dish after this, one he claimed as his signature; the veal parmigiano. Though it didn’t look like much, we were honestly surprised by the incredible flavours of this dish. Again, the veal was perfectly tender and the napolitana sauce was so fresh you could taste the tomatoes like they were just picked from the garden. The sweetness of the tomatoes had soaked into the crumbing on the veal just enough to transfer the incredible flavour, but not enough to make the crumbing soggy. Bonus side dish of pasta! All main meals not containing pasta come with a complimentary side dish of either pasta, garlic mashed potatoes or vegetables, so it’s best to take this into account when ordering your meals. The servings of the mains alone are generous, and with the addition of the sides there’s no chance diners will go home hungry! After a solid break where we temporarily lapsed into a food coma, we were woken by the tantalising smell of dessert. Créme caramel and tiramisu with a glass of honey chai were Chef Khalil’s recommendations, and as with the rest of the food, they did not disappoint. 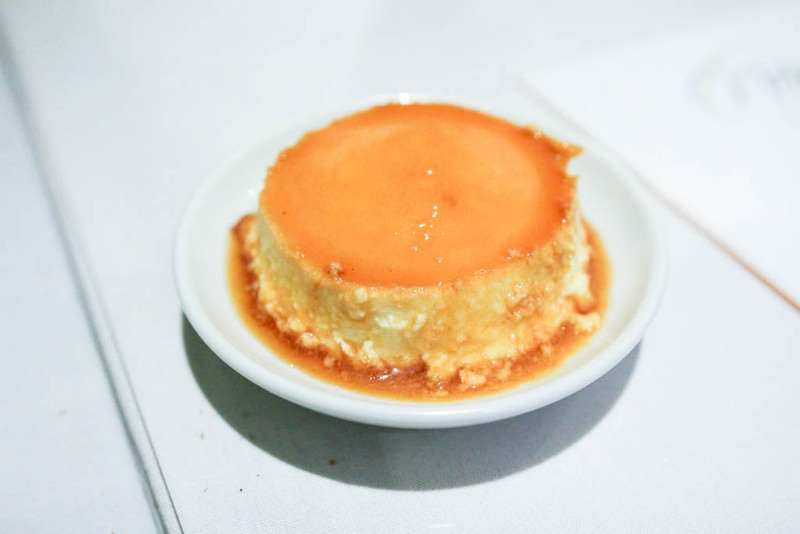 The créme caramel was the perfect balance of fresh custard and sweet caramel, without being overpoweringly sugary. 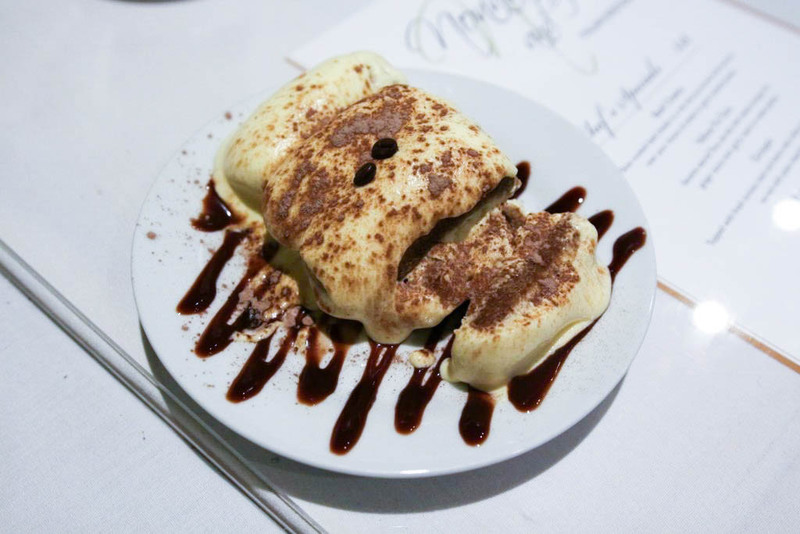 The tiramisu was light and fluffy, with a strong coffee taste that again was not overpowered by sugar. 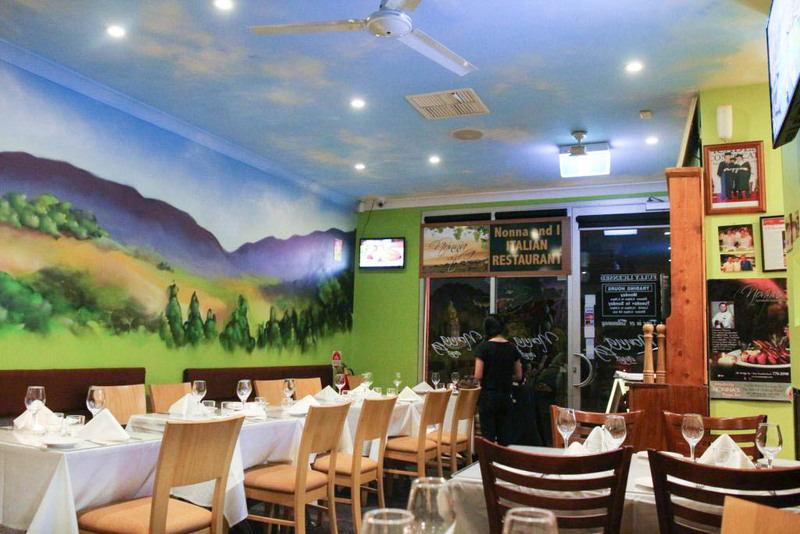 You can find Nonna and I just off the Parade in Norwood, open 7 days a week for some lunches and all dinners. Come tackle the Adelaide Oval stairs with us this Sunday!